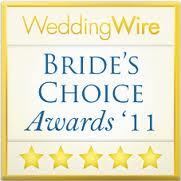 We couldn't help but share this amazing article on the hottest wedding trends for 2012! Are you incorporating any of these into your special day? Want to get a headstart on your wedding planning in the New Year? We've got an exclusive sneak peek at the best new trends from A-list celeb party pros. At New York Bridal Fashion Week, we saw gorgeous gowns in a variety of hues, from pink to icy blue to black for 2012. 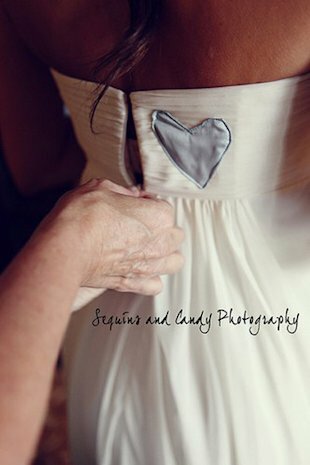 If you're dead-set on wearing a white dress, you can still find ways to include a pop of color in your bridal ensemble. "Consider asking your seamstress to sew your favorite colorful fabric to your wedding dress' crinoline petticoat; as you walk down the aisle, everyone will catch glimpses of your favorite color beneath your long white gown," said Preston Bailey. 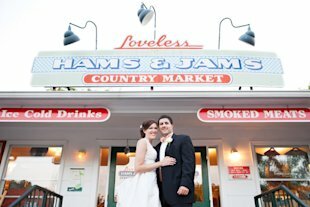 You may have heard of brides and grooms renting photo booths, but "back drops" (where guests use a variety of props and backgrounds to take snapshots) are an emerging trend. 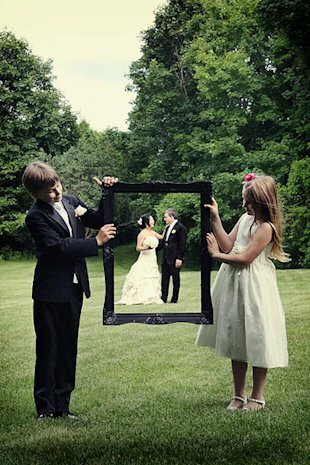 The possibilities are endless-planner Bryan Rafanelli suggests individual handheld photo frames in a variety of colors, a favorite quilt, or setting up in front of a great architectural element at your venue. Hearty flowers in subdued hues and even trees (see: Royal Wedding Ceremony) add a clean, fresh feel to your fête. Rafanelli recommends miniature calla lillies in white, green, lavender, or brown for receptions outdoors. 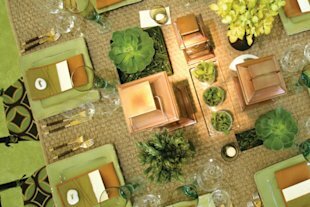 Smaller centerpieces will reign supreme in 2012, especially in multiple container shapes and sizes. 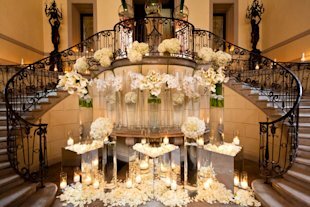 Consider a combination of exotic flowers mixed with the classics (roses, orchids, calla lillies) to add a modern feel to your wedding décor. "Tight bunches of hot pink carnations in square containers, coupled with orchids in another holder can look great, even with mini English roses in another container. It's all about balance," said Rafanelli. Also don't be afraid to mix a couple of vibrant colors ("Tangerine Tango" was revealed as the new Color of the Year by Pantone). 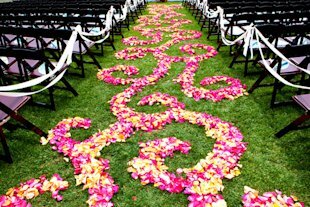 This eye-catching aisle was created by Nikki Khan. The food truck revolution caught our attention this past year, and experts predict that it's going to pick up steam in the coming months. "Old-fashioned ice cream trucks, crème brûlée trucks or even bacon trucks offer a fun addition to the end of the night or the after party," said Sasha Souza.